There has been so fighting in the Gastroparesis(GP) Community. I have been bullied myself since April - and maybe a bit before that. I want to say that support groups are not something to make a power play on. If you are looking for fame and glory, support groups are not the way to go. I know I've posted basically touched on the same thing in another blog article already, but wanted to repost it. Seven to eight years ago, there was hardly anything online about the GP Community, so a handful of us made groups and pages. We wanted to spread more awareness. And, I have had my blog since 2008. We wanted to make a safe place for GPers to vent, learn about their illness, stay positive, and help the newly diagnosed. I have no idea what's been going on lately, but there is SO much negativity in the GP Community. People are scared to post in groups for fear of backlash. People are being bullied based on their opinions and beliefs. People are talked down to or ignored. This is NOT what the Community is about. It's embarrassing because other Communities, like the cancer community, has noticed there's something not quite with our own Community right now. That is just so devastating. Our Community that we worked so hard to build up is a laughing stock to other support groups in other areas. We need to do better. We need to treat each other with respect. You don't have to like someone, but you can respect them. People are sick enough without this mess. Not only that, but the bullying needs to end. People should not be scared to post, voice their opinions for fear of being shut down and banned, or being ganged up by a group of people. How can people learn about their illness or ask important questions if they are too scared to post? That is NOT what I envisioned when I helped start this Community. No one should be living in fear. I've been having panic attacks while logging into Facebook, because I honestly don't know how I'll be attacked today. I am really stressed out and anxious, which is effecting my health in a horrible way. I have been too sick to do much of anything. The attacks from people will tell me it is in my head, in addition to blaming me for the divide in the Community. It seems like it should not bother me, but when you are constantly beaten down daily, it really starts messing with your psyche. I block them, but it still hurts. My feelings are so hurt and my heart is broken. I have been crying because I am so sick at this moment, but isn't that always the way? People kicking you when you're down? There is a giant rift in the GP Community. It has been blamed on me several times. I have NOTHING to do with that and it breaks my heart that this is happening. I would never in a million years try to dismantle a Community so important, especially since I helped build it up from scratch. We need to heal as a community and get back to where we were. We need to knock off the negativity and get back to the original idea that some people have lost sight of: GP Awareness. All of these posts about selling things, let's say vitamin shake mix as an example to make money. People seem to be losing sight of the main message - to promote and educate about gastroparesis, because the more awareness will lead to research and hopefully a cure. It just seems like the GP Community is losing sight of that message too. We should be helping to guide the newly diagnosed who are terrified. There is SO much misinformation out there about Gastroparesis, that one person approached me and told me she was going to die because GP is a death sentence. She really was frightened because she read on the Internet that GP = instant death. I comforted her the best I could, and I hope it helped. So, now you have to be careful when you look at things about GP and question them. That annoys me too, that there is A LOT of misinformation out there. 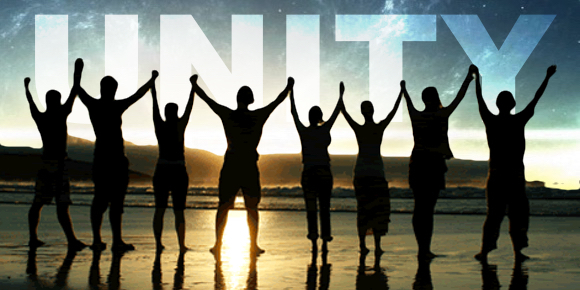 My dream is to see all of the Gastroparesis groups work together, since we should have a common goal, but I do not see that happening. Some of the group owners have their own agendas. That saddens me but it's up to them. I just know that I'm trying my best, here. 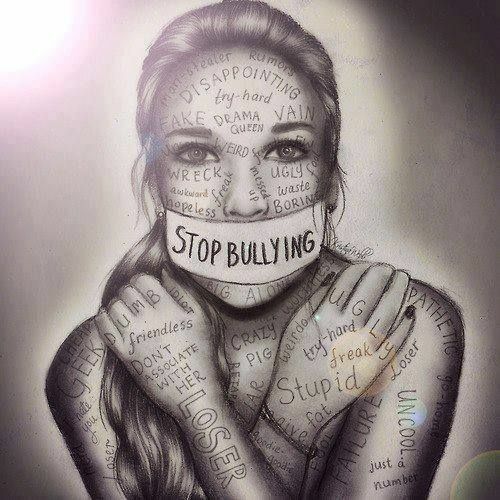 The abuse and bulling needs to stop. PERIOD! I know I'm not the only one having this issue. It should NOT exist in this Community - we are sick enough without getting worse from Facebook drama. I've kept my mouth shut for a REALLY long time, but I can't stand by anymore. I need to speak up...because I'm not the only one who is going through this. I just don't see how people can advocate for GP but turn around and knock GPers down, especially when they mean well and want to help. Not to mention, I want to stand up for the Community and see if I can help heal and repair the damage. Well, please know you're not alone. If you are being bullied, feel free to inbox me and we'll talk. “They will hate you if you are beautiful. They will hate you if you are successful. They will hate you if you are right. They will hate you if you are popular. They will hate you when you get attention. They will hate you when people in their life like you. They will hate you if you worship a different version of their God. They will hate you if you are spiritual. They will hate you if you have courage. They will hate you if you have an opinion. They will hate you when people support you. They will hate you when they see you happy.